1885. 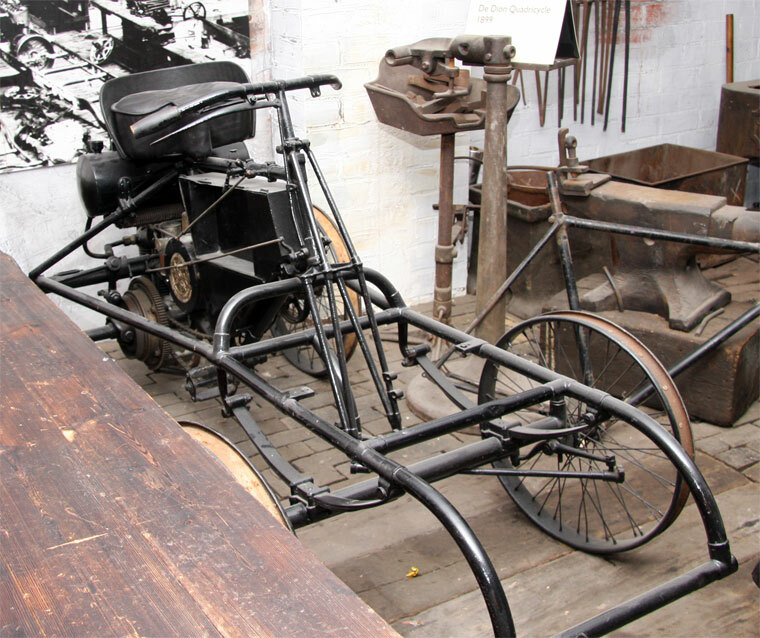 Single seat steam tricycle. 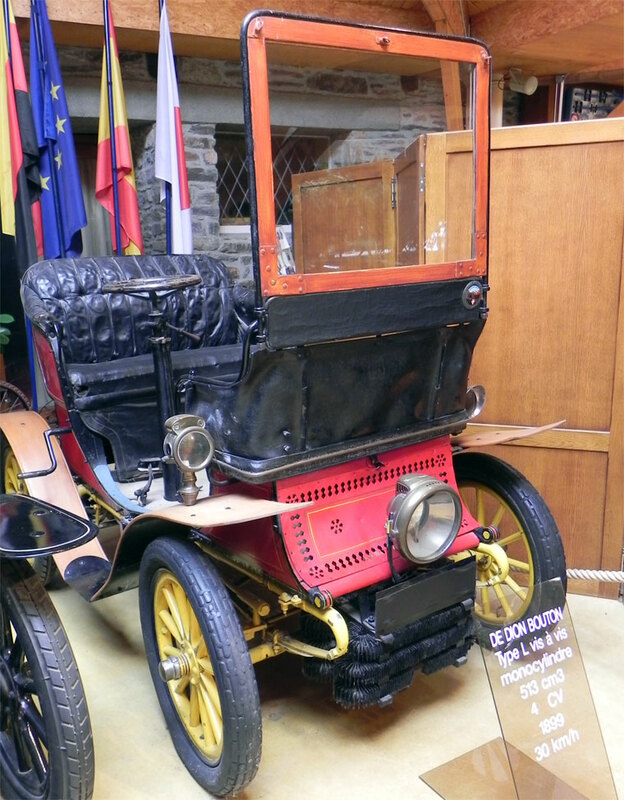 Exhibit at the Musee Automobile de Vendee. 1895. 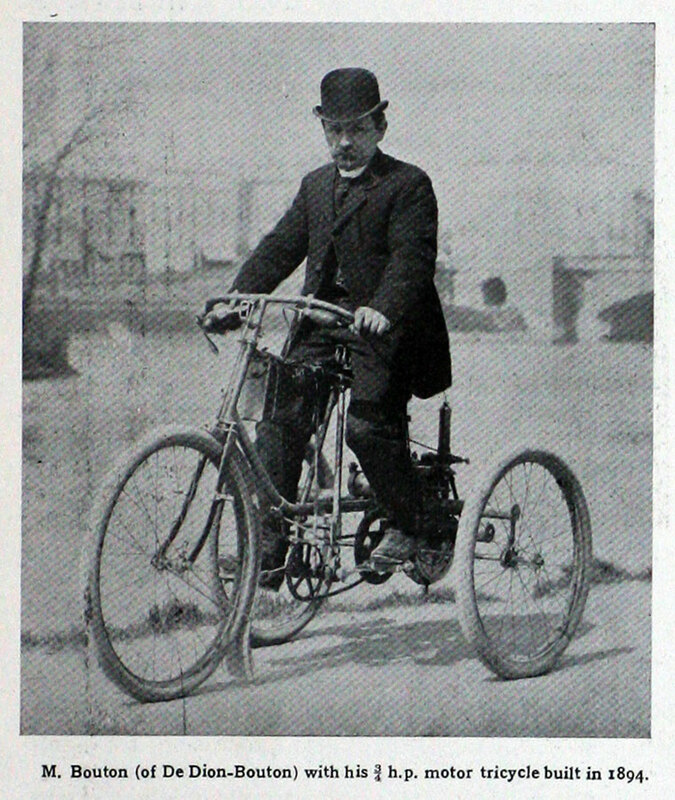 Motor Tricycle (Printed back to front). 1895. 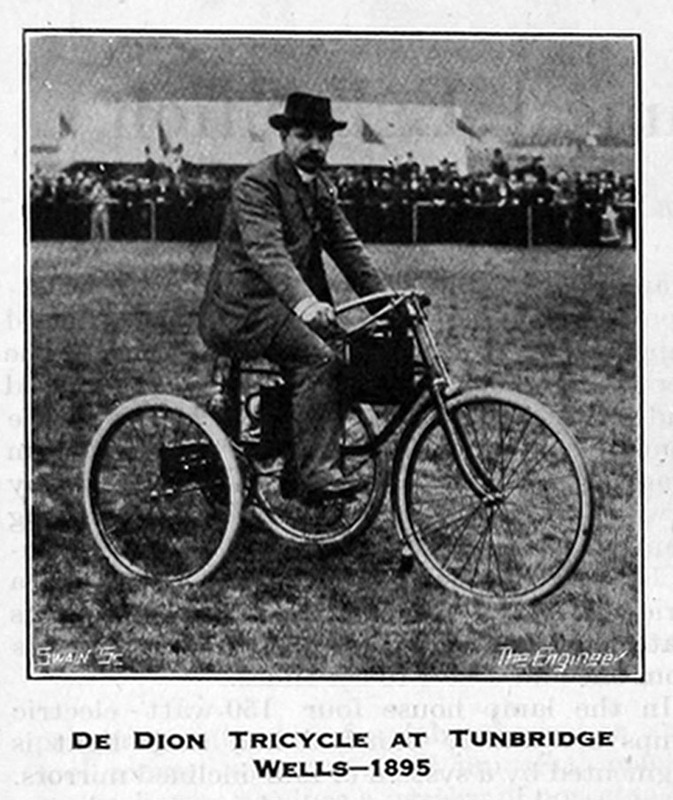 Tricycle at Tunbridge Wells. 1896. 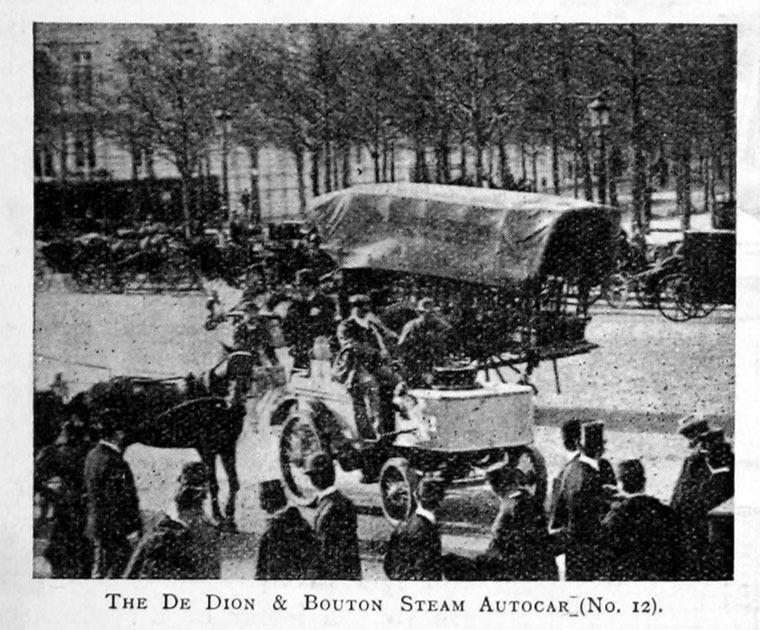 De Dion-Bouton Steam Autocar (No. 12) of the 1896 Paris-Marseilles-Paris Race. 1896. 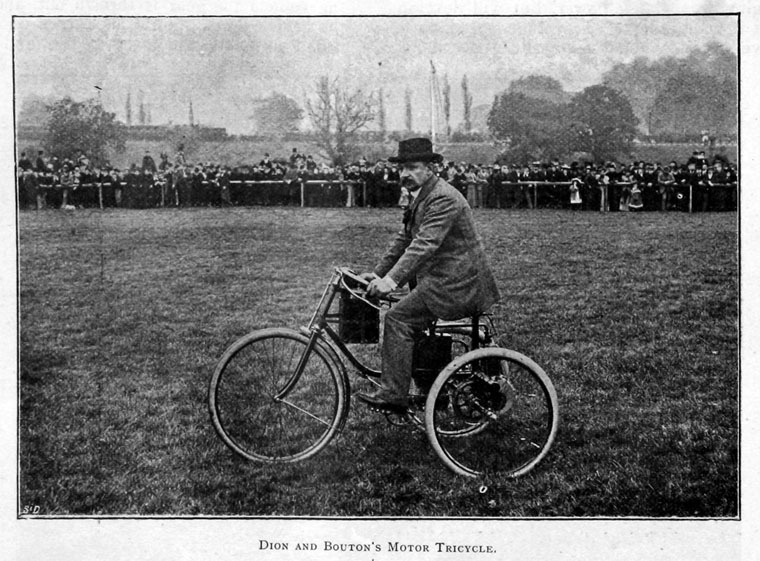 The Dion Motor Tricycle. 1898. 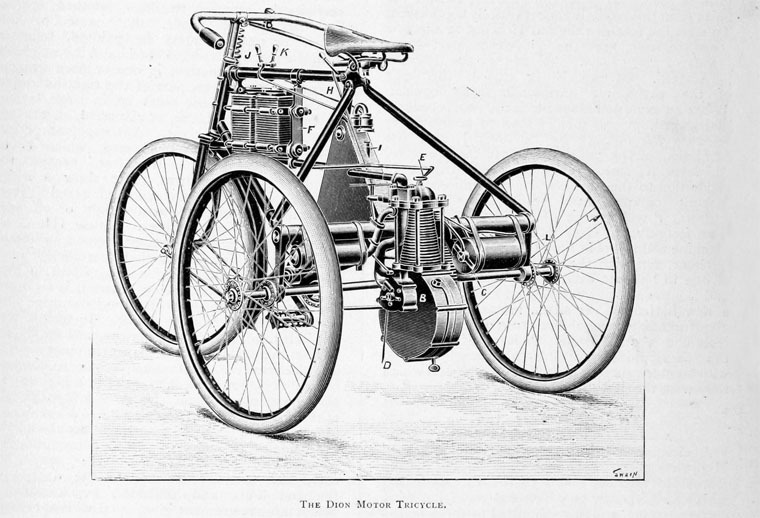 De Dion Bouton Tricycle. 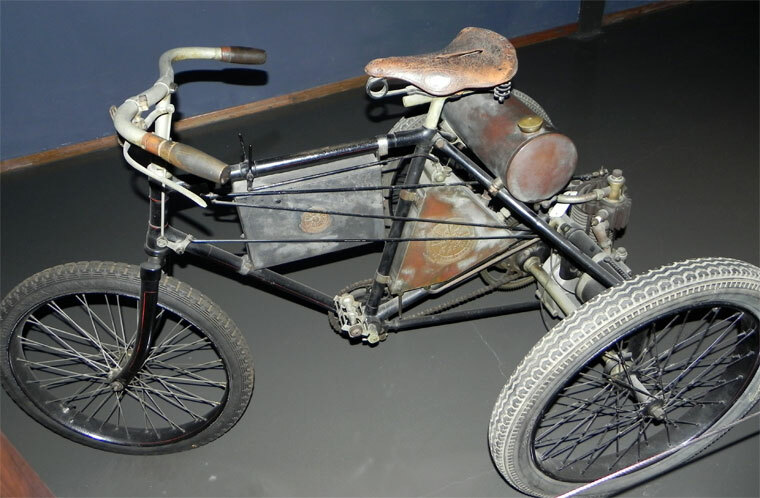 Exhibit at the National Automobile Museum, Mulhouse. 1899. Quadricycle. Exhibit at the Hull Street Life Museum. 1899. De Dion Bouton Type L Vis-a-vis. 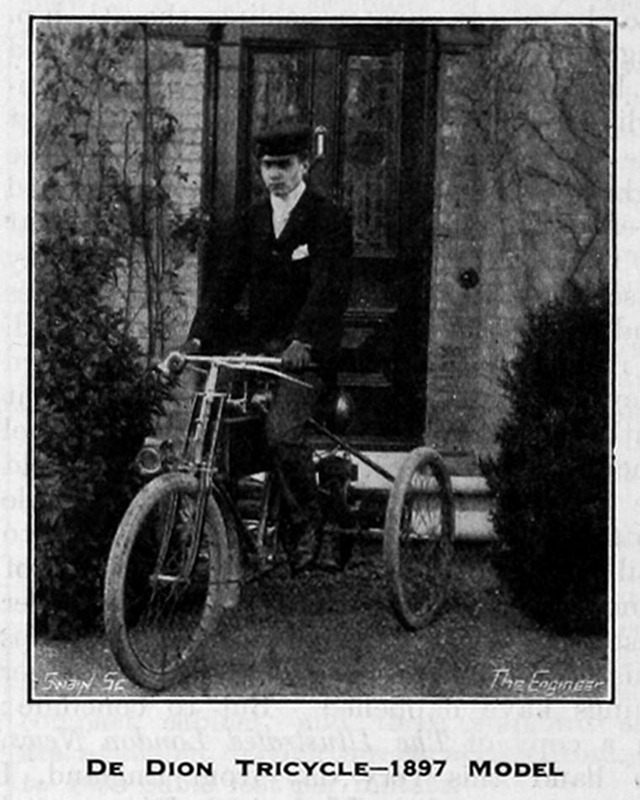 Single-cylinder. 513cc. 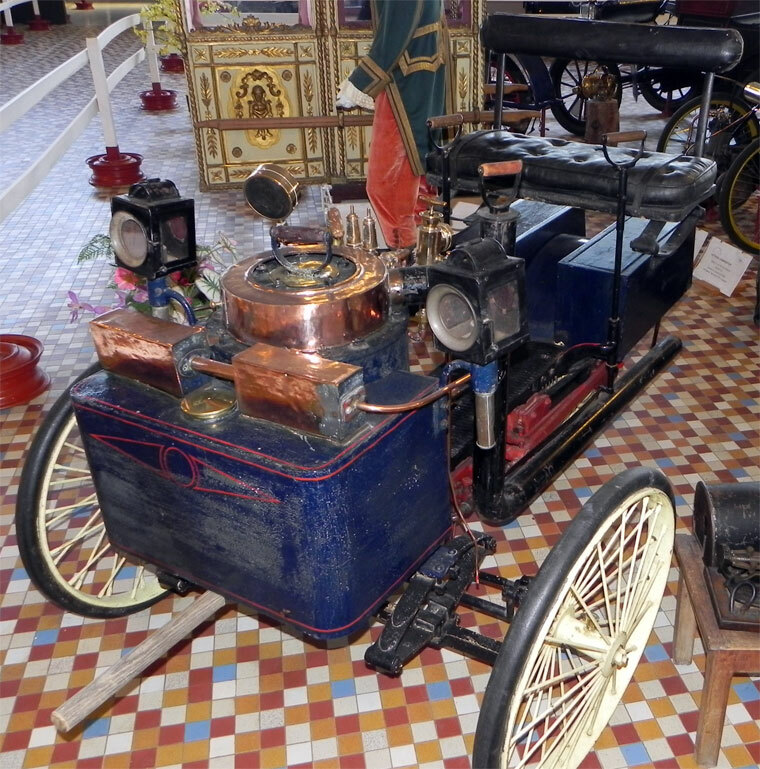 Exhibit at the Manoir de L'Automobile, Loheac. De Dion-Bouton was a French automobile manufacturer operating from 1883 to 1932. The company was founded by Comte Albert de Dion (1856-1946), George Bouton (1847-1938) and his brother-in-law Charles Trepardoux. 1899 Details of their new 3-hp car. 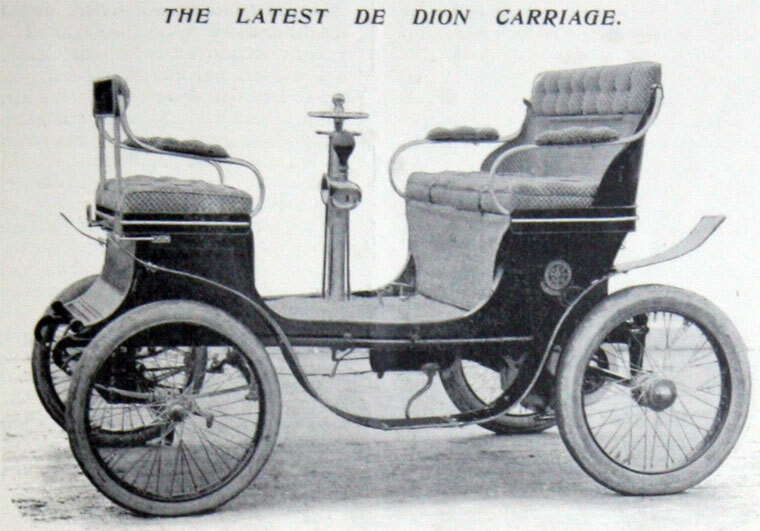 1907 The company was incorporated in the UK as De Dion-Bouton (1907) Ltd . Directors were Selwyn Edge (Chairman), John William Stocks (MD), Herbert Osbaldeston Duncan (MD in France), S. Van Der Bergh, W. Scott-Leafe and Arthur I. Phillips. During World War I the company made gun parts, armoured vehicles and aero engines as well as cars and trucks. 1902 BF 19 8 hp. 1902 BM 4 8 hp. 1902 D 435 8 hp. 1902 DS 6736 8 hp. 1902 DS 6785 8 hp. 1903 BS 8277 8 hp. 1903 EL 166 8 hp. 1904 D 1612 8 hp. 1904 LE 7419 8 hp. 1904 N 1200 8 hp. 1904 6393 D 8 hp. 1901 DS 6770 24 hp. 4-cyl. 1903 BF 4679 12hp. 2-cyl. 1903 HP 2938 10 hp. 2-cyl. 1904 254 DMX 92 10 hp. 2-cyl. 1904 H 42 10 hp. 2-cyl. c1904 EF 16 10 hp, 2-cyl. This page was last edited on 18 July 2017, at 16:53.